For this month’s featured artist I’ve chosen the inventive and feisty Danielle Shipley. Danielle and I became acquainted when we were both part of the same fantasy anthology THE TOLL OF ANOTHER BELL, published by Xchyler. Not only does she write terrific short stories, she also writes novels and posts all sorts of cleverness and snark over at her blog Ever on Word. Trust me, go check it out and follow, it’s bundles of fun. Now for the part you’ve all been waiting for – The cover reveal of Danielle’s latest offering! 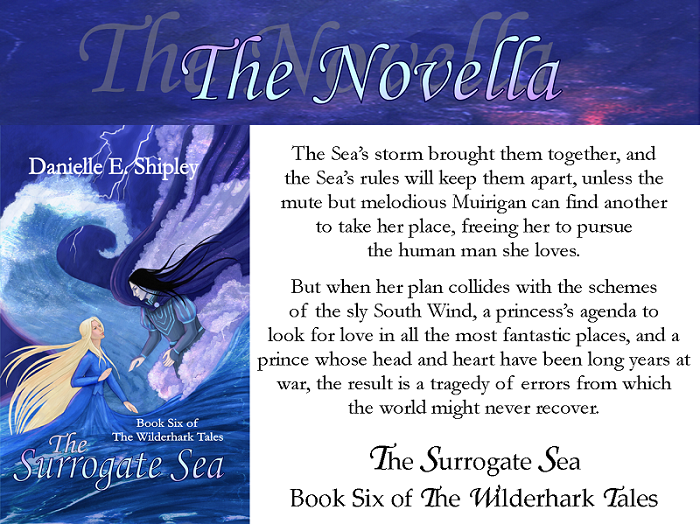 The Surrogate Sea is the sixth installation in the Wilderhawk Tales series and follows along in it’s predecessor’s fairy tale footprints. There are princes and princesses, kings and kingdoms, and magic found in the strangest places. The Surrogate Sea is about the pursuit of love and the many misunderstandings that can take place along the way. Young Princess Liliavaine has outgrown her childhood love and seeks a man with whom she can make a life with. However, her childhood love has feelings of his own and instead of dimming with the years, it has only grown stronger. The interaction of these two causes ripples throughout the entire world, including the realms of the elemental beings that rule over air, water, and land. In this world, it is possible to mix humankind with elemental kind. Liliavaine’s sister wed the lord of the moon himself. In fact, one of the other books in the series deals with the bout of insanity caused by looking into the moon’s face. One of these elementals is Muirigan, the great sea who falls in love with a prince. However, she is trapped by her own beaches and cannot seek him out. She finds another to take her place (thus the title, the Surrogate Sea) and the problems spiral out from there. Throw in a spiteful South Wind, and you have quite a story. 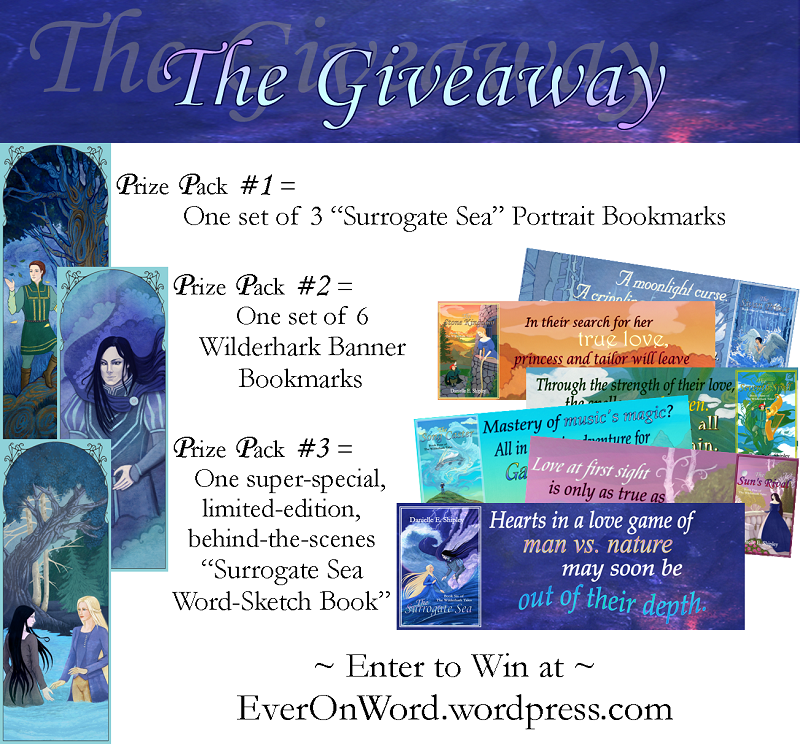 I love a fanciful and innovative fantasy story and so The Surrogate Sea was a delight to read. 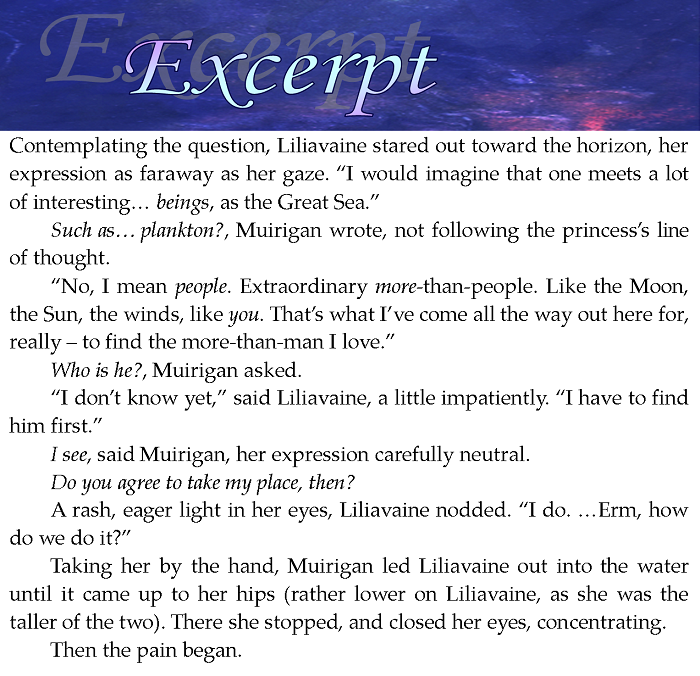 My favorite aspect of the book are the interactions of the elemental characters with the human folk. 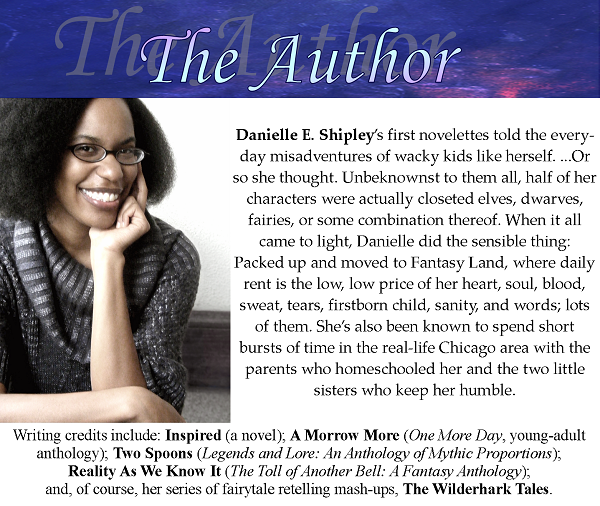 Danielle excels at making fascinating and well-rounded characters, this is especially true when it comes to her more magical characters. I’m not crazy about complicated love triangles, but I know a good one when I read one, and this one has enough twists and turns to keep you guessing how it’s all going to work out. There is always a concern when reading a book in a series without reading the earlier books. I hadn’t read the earlier books in the Wilderhawk Tales and so there were several references in this book that I didn’t fully understand, only because I hadn’t read their stories. However, the book is well enough constructed that it is still very readable without having to read the rest of the series first. Overall I give the book 4 out of 5 stars – The beginning starts slow as we wait for all the characters to be re-established and re-introduced. The true heart of the conflict isn’t revealed until much later. Once you get there then you can’t put it down. If you like fairy tale stories, love triangles, unique magic, princes and princesses, and a whole lot of mischief, then this book is sure to please. I received a copy of Surrogate Sea in exchange for an honest review. Want to buy The Surrogate Sea? Here are some handy links!